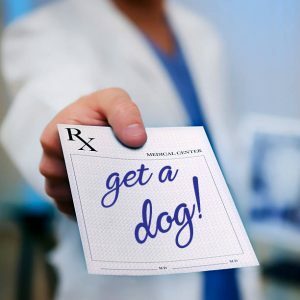 Scientists agree: dogs are GOOD for you! But there’s lots more: dogs are even trained to detect oncoming epileptic seizures and diabetic shock. lie next to someone having a seizure to prevent injury. put their body between the seizing individual and the floor to break the fall at the start of a seizure. Called Seizure Dogs, they’re a tremendous resource for anyone who lives wondering when the next attack might come. For children especially, a Seizure Dog can protect them from injuries, such as falling, and also give kids the confidence to llive with the daily struggle of epilepsy. Even more amazing is the fact that many people report that their family dog already predicts and protects people in his family — with no formal training! 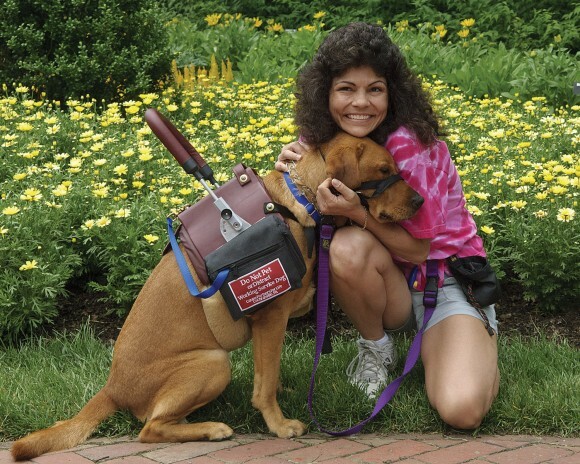 Joretta has had epilepsy since she was fourteen and utilizes Atco as her seizure alert dog. She has violent, partial complex seizures at least once or twice a week and needs assistance from a family member at those times. When Joretta had a seizure during her first days of team training, it was Atco’s body laying over her that kept her lying down and safe. Now, when Joretta has a seizure, Atco pushes the ‘life alert’ button which notifies her partner, who works seven miles away. Atco also provides balance and stability when Joretta is feeling weak. How do dogs do it? Gregory Holmes, a neurologist at Dartmouth Medical School in New Hampshire, says the dogs could be detecting a change in smell. To learn more about getting one of these amazing dogs, please contact the Epilepsy & Seizures 24/7 Helpline Resources. In Canada, contact Lion’s Foundation of Canada. 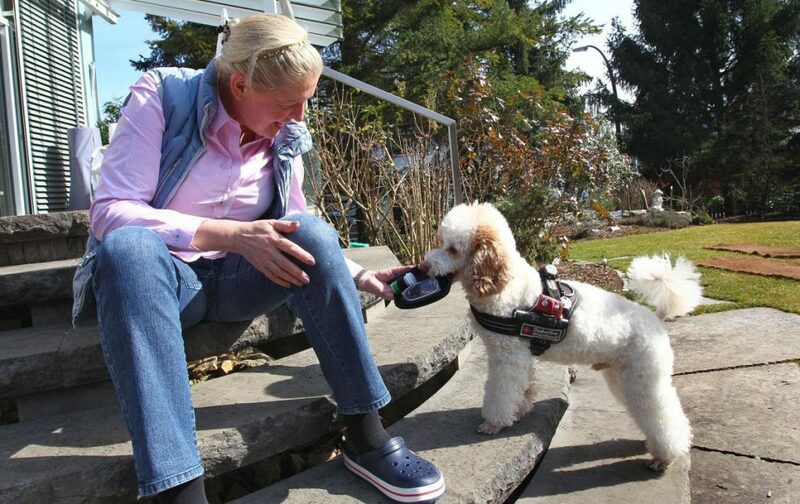 Other specially trained, medical alert assistance dogs, can alert their owners to an oncoming diabetic episode of low blood sugar, or hypoglycemia. They seem to smell the change in the person’s breath, as a result of the dangerously low sugar levels in the blood, and alert the owner. The diabetic can take action before he becomes shaky, confused, disoriented – or even passes out. Rocket the poodle brings a diabetes emergency kit to his owner Annegret Pross in Margetshoechheim, Germany, on March 17, 2015. Besides alerting a medical condition, dogs have been used for many years in law enforcement, sniffing out bombs and other explosive devices, missing people, drugs and even the dead. These seeming miracles can be explained because of the dog’s unique sense of smell. Estimated to be at least 40 times greater than the human sense of smell, dogs have a super STRONG sense, plus the smells remain ‘separate’ for them. So where a person walks into a home and smells stew, a dog smells each and every ingredient, separately. 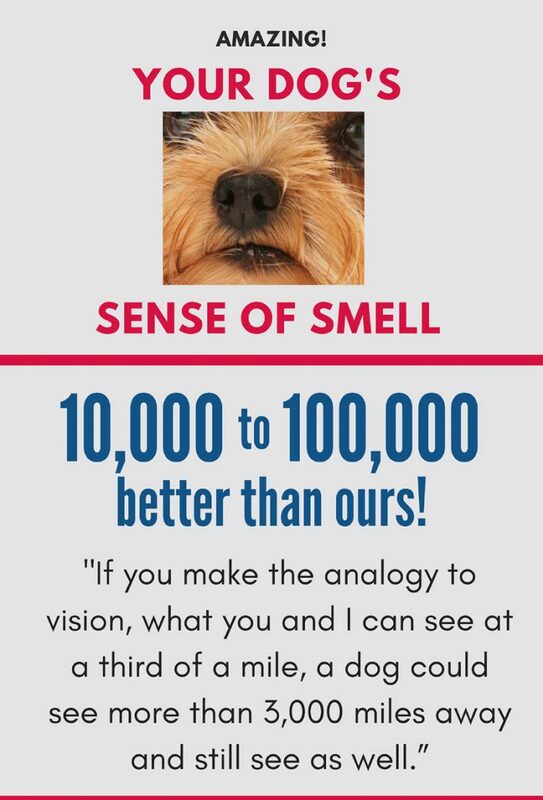 Where we have about 6 million olfactory receptors in our nose, dogs have 300 million! So the diabetic-episode-alerting-dog can smell out a volatile chemical compound that diabetics release just before an attack, even though scientists themselves have not yet been able to identify that exact compound!